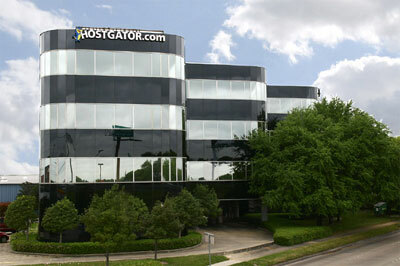 Houston, Texas – (The Hosting News) – December 21, 2007 – Shared, dedicated and reseller web hosting firm, HostGator, is offering 4,500 free website templates to customers and resellers, covering nearly 120 different types of businesses, designed to enable non-technical building of effective websites. The free templates cover a broad range of page designs suitable for nearly 120 different types of small and medium-sized businesses – from accountants and auto dealers, to cleaning services, consultants, martial arts studios, toy stores, women’s health clinics, and everything in between. The wide variety of templates makes it easier for resellers to attract people and businesses who want websites, but don’t have the knowledge or design abilities needed to create good looking websites. To apply the free templates, a reseller or webmaster may browse through the templates, select one or more to use, and they automatically begin downloading to their computer. Hosting resellers and webmasters are also welcome to modify and HostGator’s templates, so long as the websites remain hosted by HostGator. As an added feature, resellers can actually mirror HostGator’s templates pages to show to their customers. That makes accessing the templates easy, while maintaining control over who can accesss them. HostGator is a provider of shared, dedicated and reseller web hosting services focused on the consumer and small business markets. Founded in 2002, HostGator has become a leader in reseller hosting, assisting over 15,000 businesses become web hosting companies. HostGator has offices in Houston, Texas and its data center operations are co-located out of The Planet’s facility in Dallas, Texas, enabling it to access Tier-1 backbone providers such as UUNet, Sprint, Level 3, Global Crossing, Verio and AT and T and AboveNet. HostGator’s shared hosting plans are supported by HostGator’s 24/7/365 phone support, and comes with a 99.9% uptime and 30-day money-back guarantee. For more information about HostGator, please visit: www.hostgator.com. Find companies that offer hosting at The Hosting News. Does this have anything to do with Template Monster? HostGator is a Really a very nice provider of shared, dedicated and reseller web hosting services focused on the consumer and small business markets. Thanks for providing your service its really helpful. There are free templates cover a broad range of page designs suitable for different types of small and medium-sized businesses. Thanks for providing us these designs. I have heard about HostGator before also and also checked with it recently.Must say, they come up with some really good template designs. hi! i am already a HostGator user. I found their templates very amusing and I really love their designs there. In fact, I already downloaded some of their plumbing templates. However, I have a problem with uploading the templates across my site. I am new with this and I don’t have any idea how to use their templates on my websites. Can anyone help me please.. I am glad to hear any response from you guys. Not sure myself. I’d suggest contacting HostGator support.